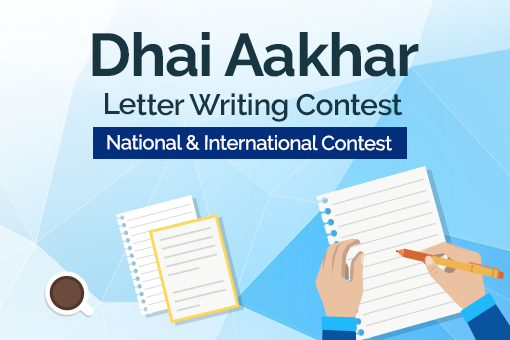 Dhai Akhar National Level Letter Writing Campaign is a campaign organized by Department of Posts to promote the art of letter writing in the country. The theme/topic of the Dhai Akhar Letter Writing Campaign is “Letter to my motherland / मेरे देश के नाम खत” inspired by Rabindranath Tagore’s “Amar Desher Mati”. The last date of submission is 31 Oct 2018. The letter can be written on plain A-4 size paper with a word limit of not more than 1000 words and is to be sent to Assistant Director General (Philately), Department of Posts, Room No. 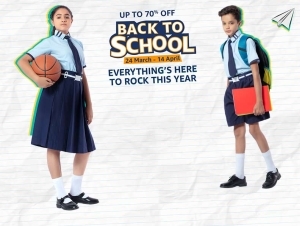 108, Dak Bhawan, Sansad Marg, New Delhi - 110001. Only handwritten letters posted by 31-10-2018 will be accepted. A scanned copy of the letter can be submitted on the MyGov portal by 31-10-2018 (23:59 IST); however, it is compulsory that a hard copy of the letter bearing dispatch postmark of not later than 31-10-2018 be sent by post. Letters uploaded on the MyGov portal on 31-10-2018 but bearing a postmark after 31-10-2018 will not be entertained. 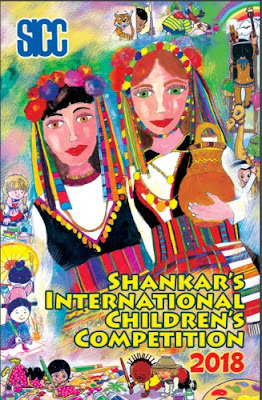 All Non-resident Indians and Persons of Indian Origin living outside India can participate in the International Level Dhai Akhar Letter Writing Campaign.